Reliant Man. A symbol of Cooling in the Dallas heat. Staying cool isn’t as easy without our Reliant Man Hero Club. And you can join today! 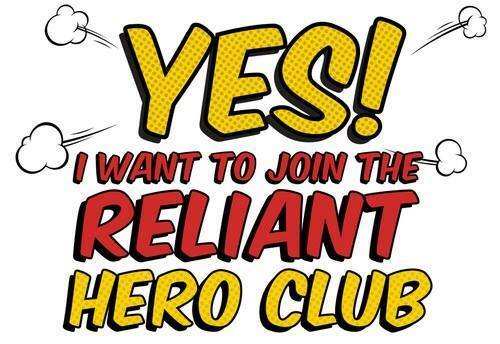 Joining the Reliant AC hero club can help you save money and prolong its life. Many people don’t know how important getting your HVAC unit serviced twice a year is. It’s also important to have a trained professional that you trust perform these services, maintenance, and inspections. So, what do you say? Want to join?